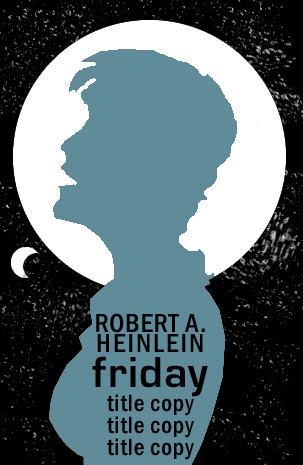 As I pursued the redesign for Heinlein's Friday cover, I circled a specific composition: a corner creep with deep shadows. Something noirish. 1) A title character closer to the book's descriptions. 2) A little more energy than that cover. We get scifi with the bulkhead texture and the background window (also the implied NASA jumpsuit of the denim coverall). We get a more dynamic pose, something telling a small story. I liked the inclusion of the pursuer shadow. That sets up the very first scene of the book and the book's spaceship scenes toward the end. (Unfortunately, we only get a brief reference to weapons she might use. Every confrontation she has is hand combat. So those convenient genre props are out of consideration.) Lastly, we get a character design that matches the book's description. And it's that last criterion that gave me pause. I was spurred to do this because I never bought the cover figure as the title character. We get relatively few specific descriptions in the book, yet the model manages to meet none of them. But the vague presentation allows me to imagine her with details I provide -- eye color, hair color (not blonde; in scifi that could mean any other color is in play), etc. But that's the image I compile. Your mileage may very. The reader who picks up a copy of Friday with my cover (work with me here) could very well have the same reaction I have to the Whelan gal: This isn't Friday. Perhaps then we need to work up a design which allows every reader to build from a relatively blank slate and without a contradictory image. 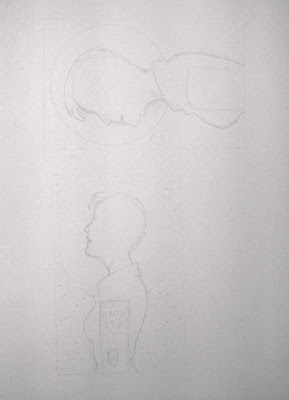 If we make the porthole gigantic, we can position Friday between it and the camera, reducing her to a silhouette. This breaks the second criterion, but it allows for a more abstract depiction. 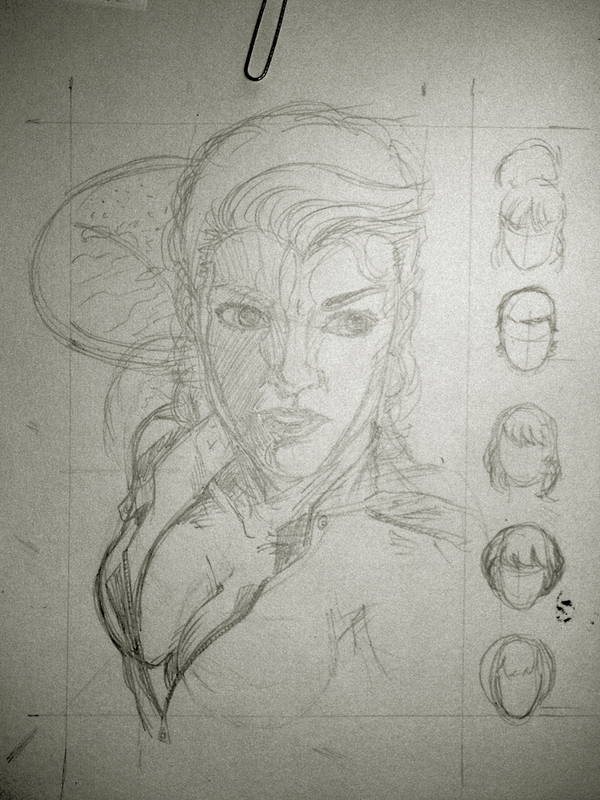 I could flatten the contours, reducing her to a simple curvy female form. And then I thought we could flatten the entire design, and that's provided by the bottom sketch of the above page. I simplified that further -- changing the detailed planet image into a simple circle with crescent shapes to convey moons. We can then make the entire cover black with stars, and run the cover copy vertically in the Friday profile. 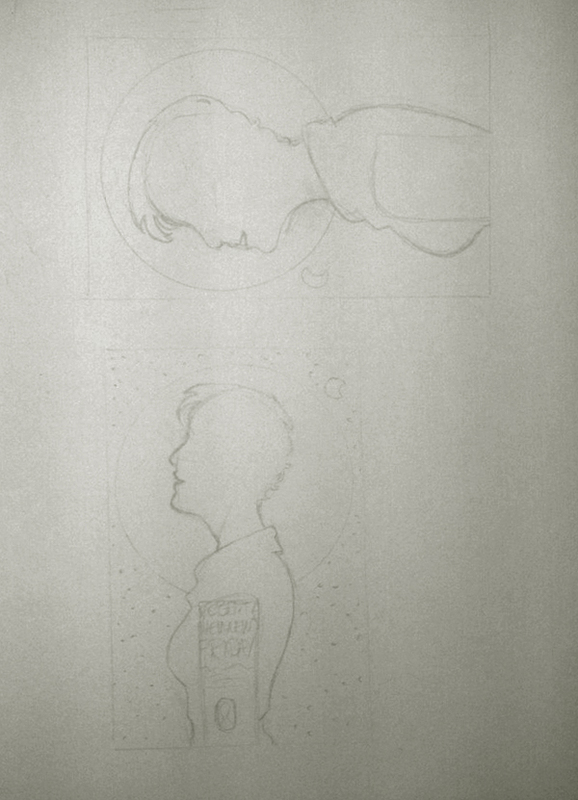 I made some cleaner silhouette sketches, varying the figure size in the cover dimensions. I did this at a Starbucks, and I can pass on this little trick: When you need a circle stencil, use your cup lid. That's how I drew the planet behind her. I then scanned those and dummied them up in Photoshop with two sample colors. The fonts are quick choices; we'll make them more genre appropriate later. 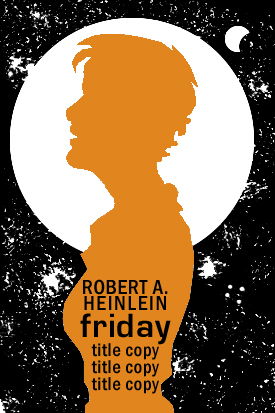 And with this I was fairly content to clean up this design and call it a cover. But then something odd happened. 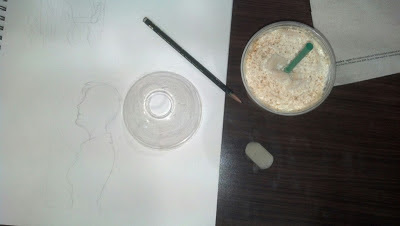 I showed her the drawings that came after this and how the composition changed, and she caught what I was doing. I asked if she could kindly pose for me, as she has in the past. "What do I need to wear for this?" "You've got that North Face fleece zip thing. That's likely the snuggest zip cover we've got. And you could wear jeans for the bottom half because it's a denim outfit Friday wears. Also, we'll need a bra, because I can't imagine anyone -- genetically superior or not -- running around in a denim outfit with nothing between them and the suit." "OK," and off she went while I played with lighting. I had taken three or so shots to check the exposure and reflections off the wall paint, and she came down the hall. and about an hour later we were ready to take some pictures. 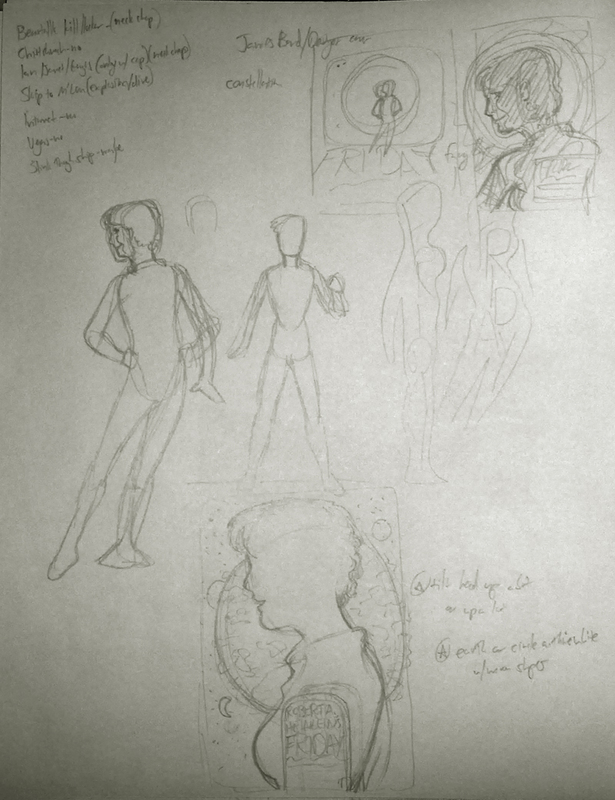 I showed her the sketch for each pose, and she matched them, and I tried the shots from different angles and light arrangements. It went quickly, and she pointed out the failings of one sketch. I tried to argue artistic license, but she was right. Wrists don't bend that way. I'll work those drawings up in the next few days. So. I'm doing two covers. Who knew? And my wife is going to be the basis for the Friday model. I'm thoroughly delighted.